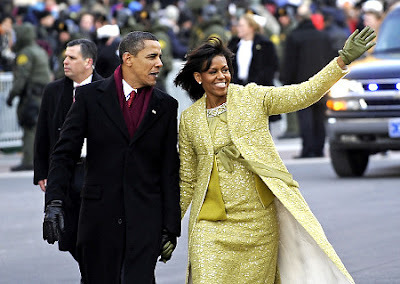 The First lady (in some country the Queen & Princess) whom represent the women of their country has always had fashionista's attention to their fabulous clothes & accessories. 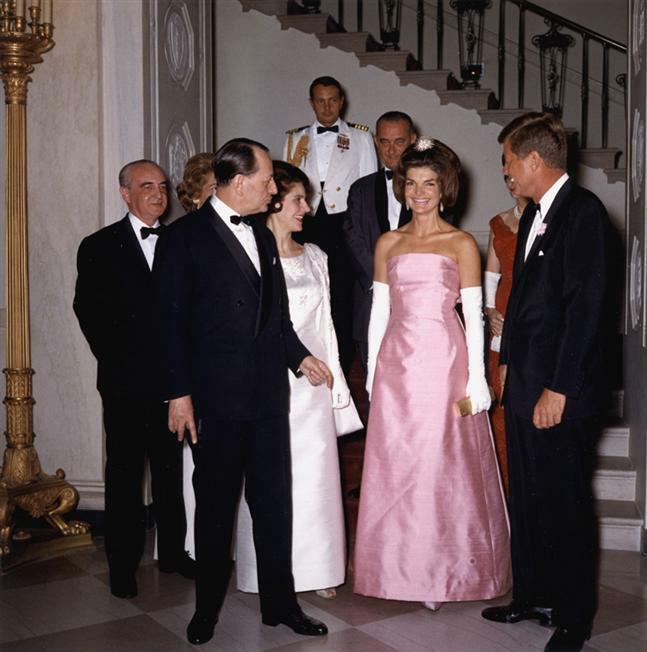 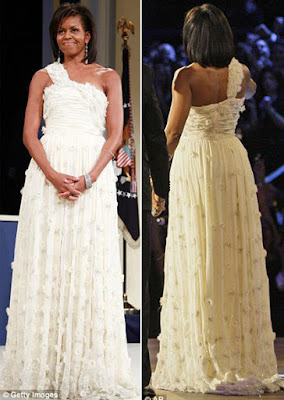 Ever since Jacqueline Kennedy the very first American fashion icon first lady of John F. Kennedy, American women has always look up to & imitate the style & looks of their first lady. After Jackie Kennedy then Nancy Reagan, Hillary Clinton, Laura Bush our current first lady Michelle Obama; all has their unique taste of style. 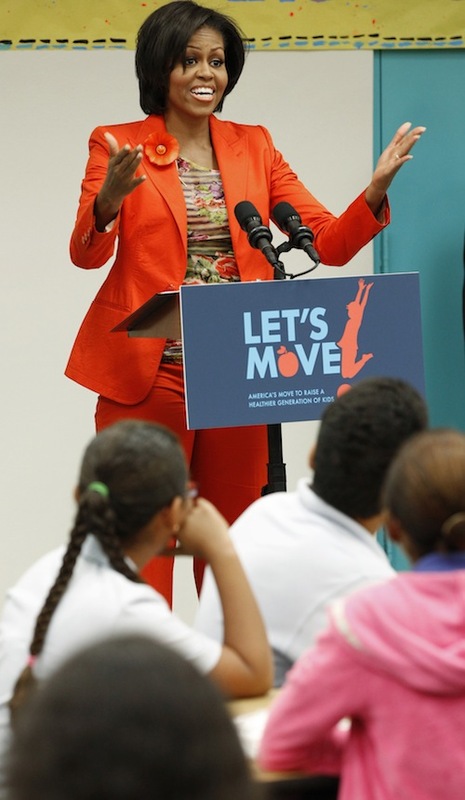 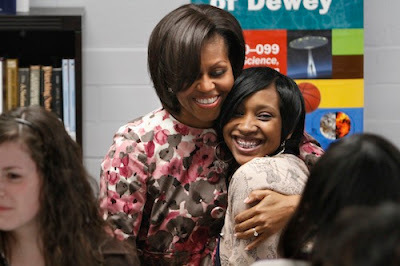 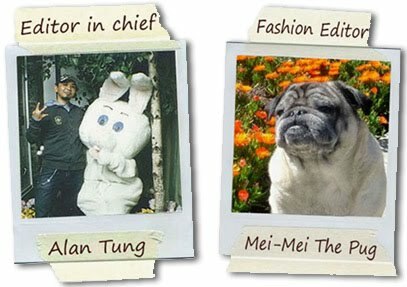 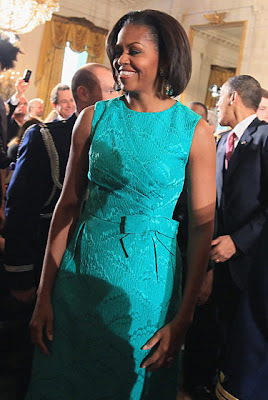 But what made it extra unique with Michelle Obama is, she is the very first African-American first lady and because of her beautiful skin tone, she can wear and look fabulous in many bright vibrant color & prints garments that many of the previous first lady cannot pull it off! 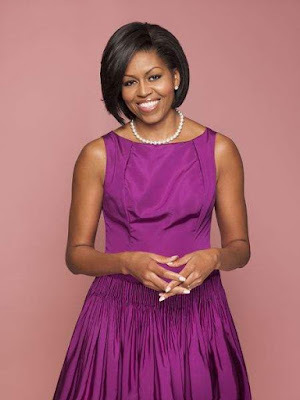 Also because she is the most athletic first lady we've ever had, she has nice toned arms and body, that she can experiment and look great in some special cuts of garments. 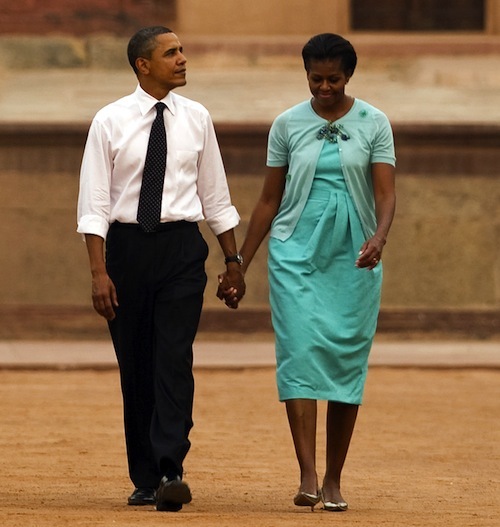 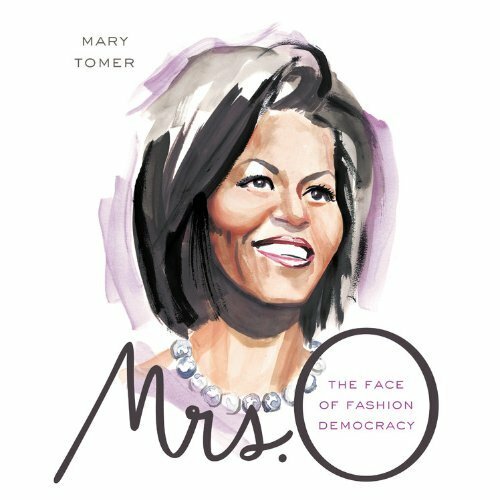 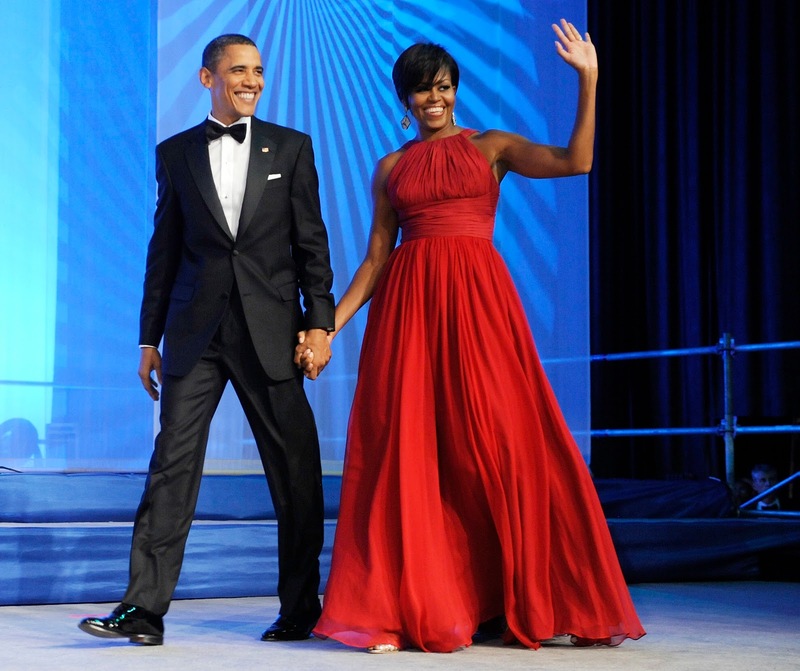 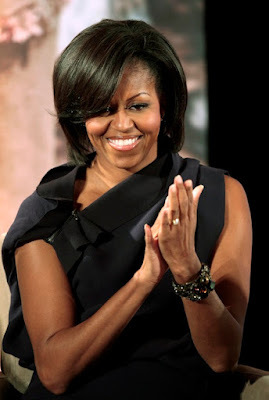 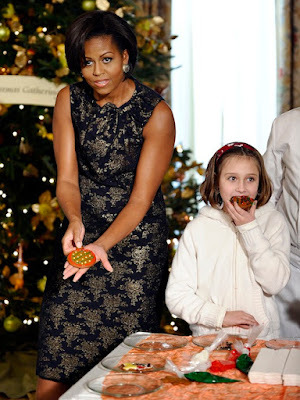 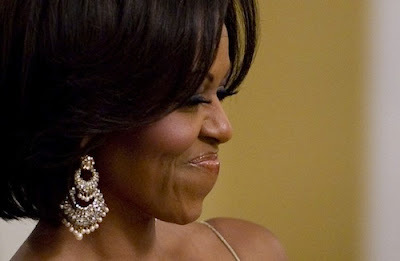 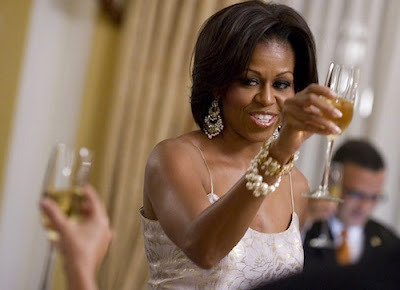 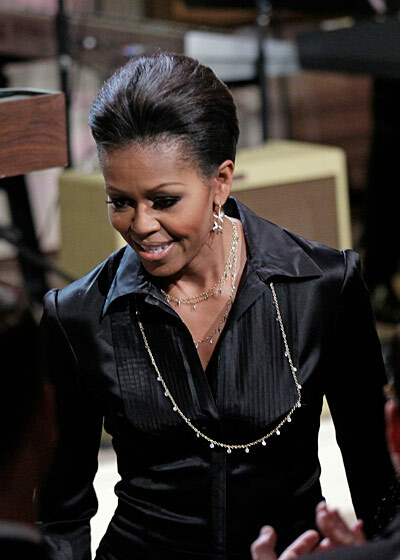 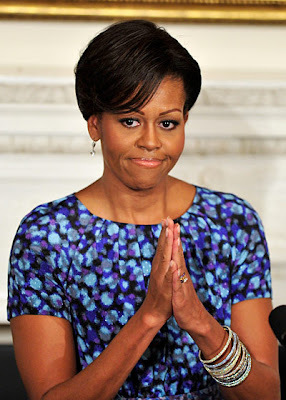 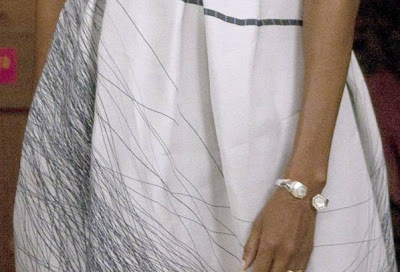 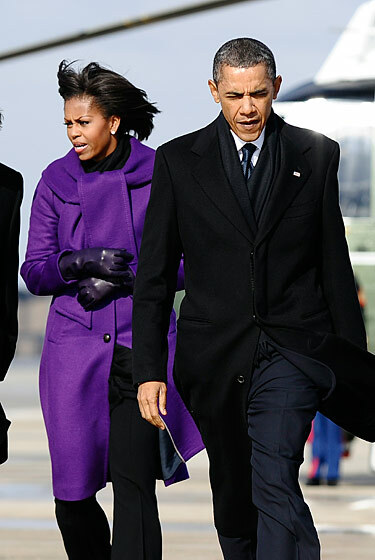 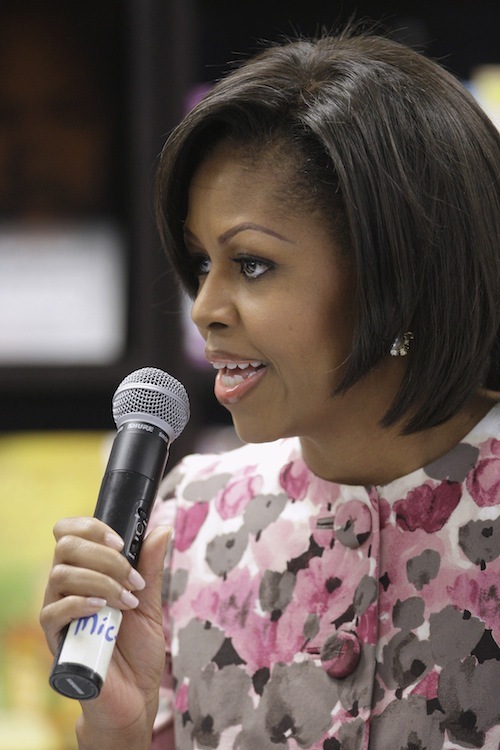 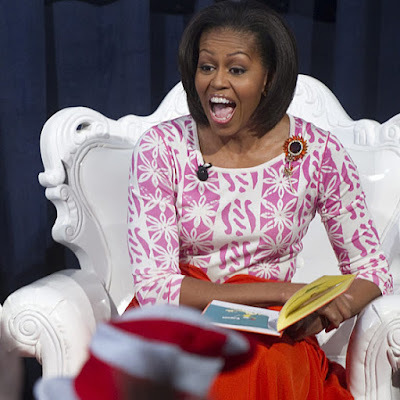 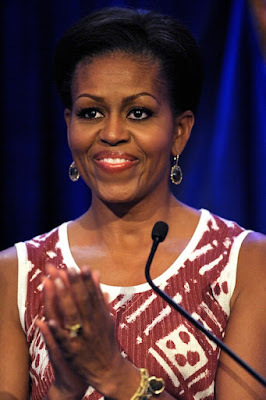 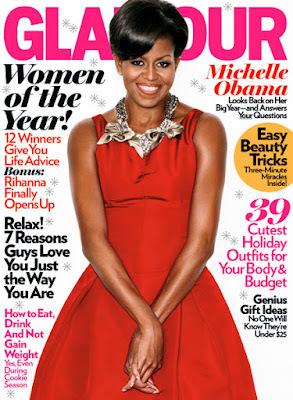 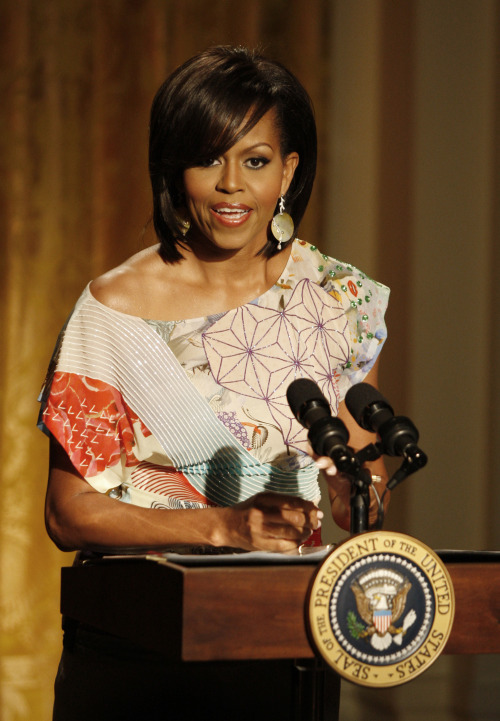 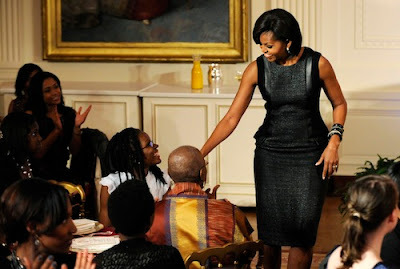 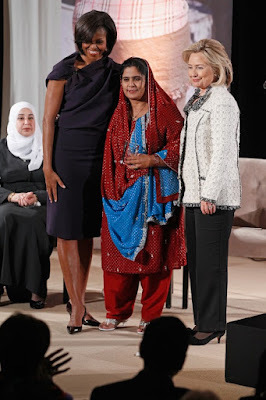 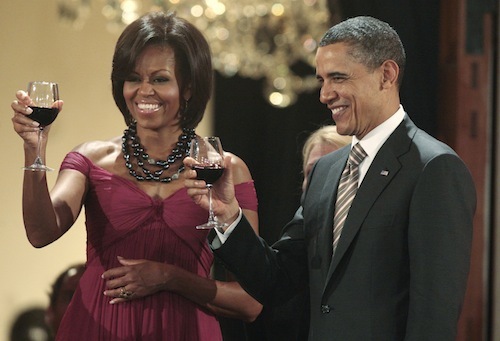 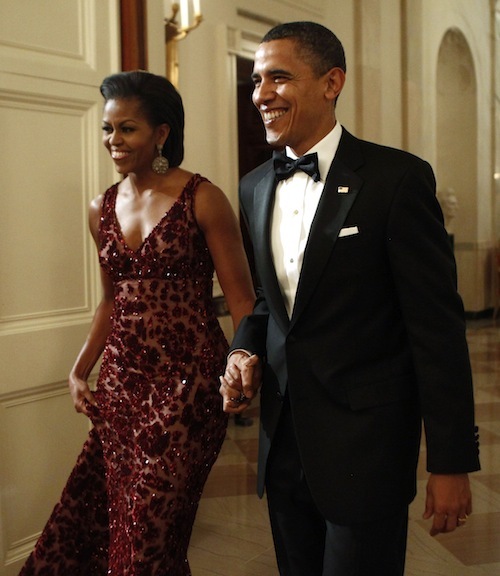 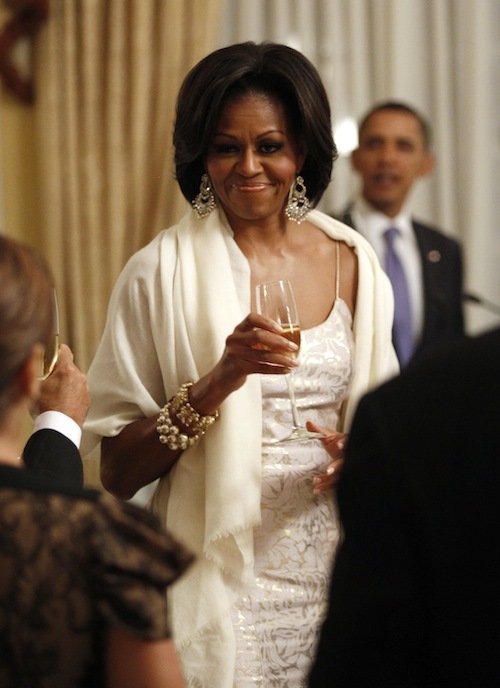 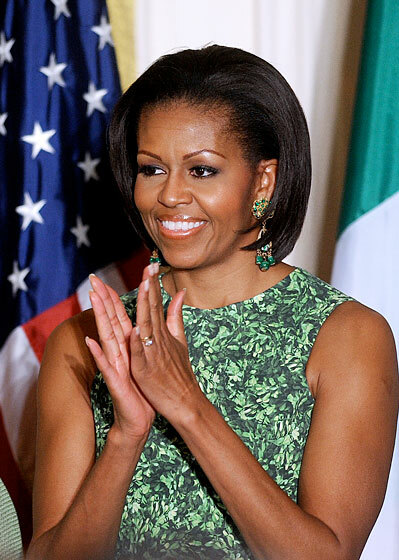 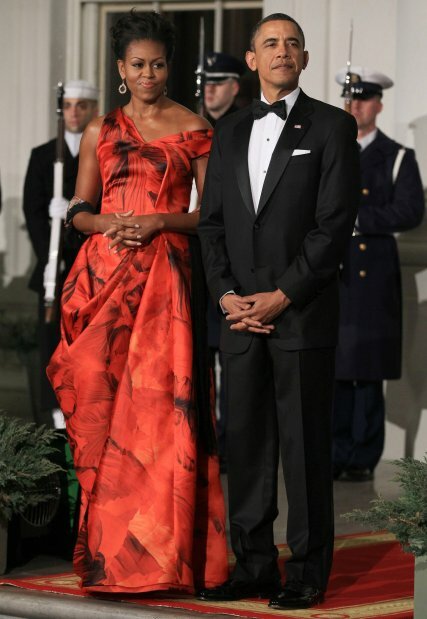 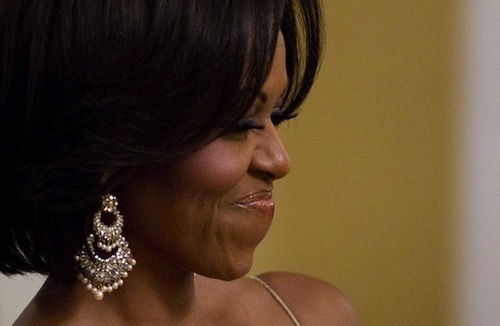 We especially like how she mix and match some super expensive couture garments with some inexpensive separates such as from the Gap, J-Crew and jazz it up with some fabulous precious gem stone accessories, all in a fun bold printed, flirty yet elegant way, that Michelle Obama does it so well. 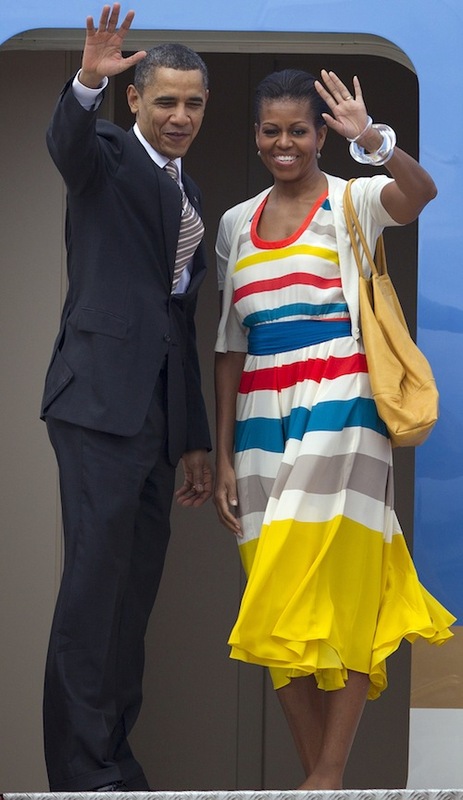 After looking all all of these fabulous looks from First Lady Michelle Obama, puts me into a mood to go get some tropical bright color clothing & prints outfits & accessories! 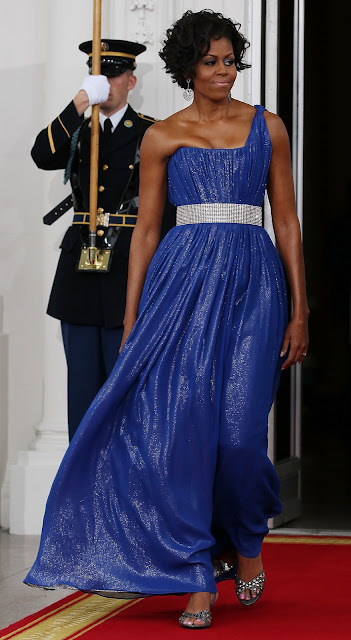 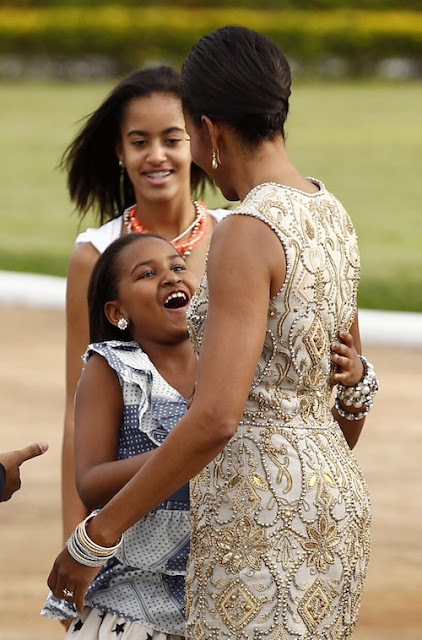 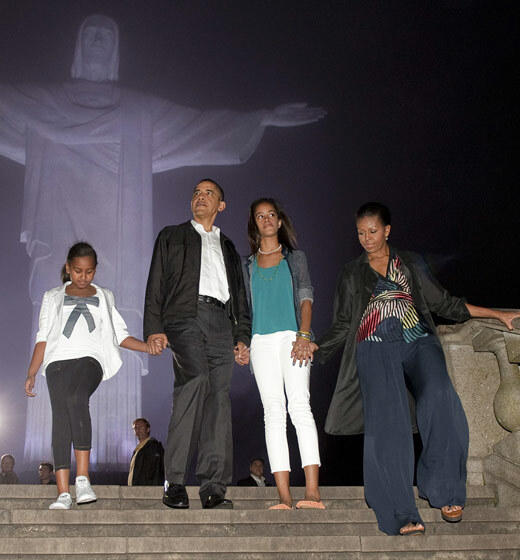 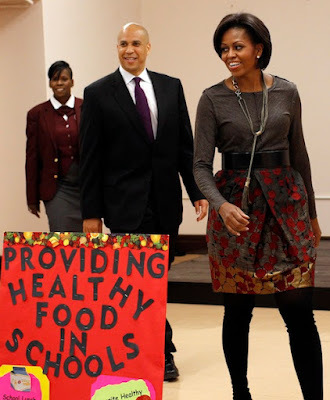 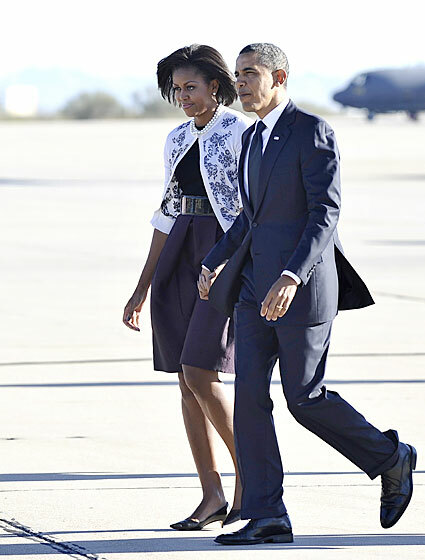 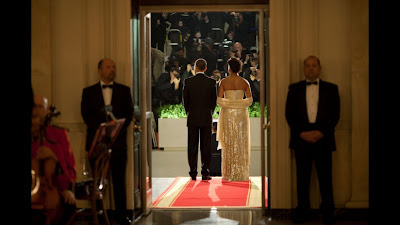 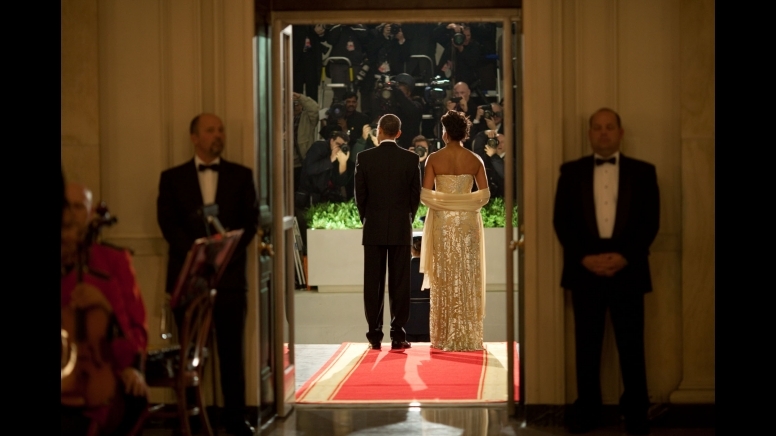 We are looking forward to see more fabulous fashions from our first lady in the future!